Do you have some leftover egg whites from making homemade eggnog? 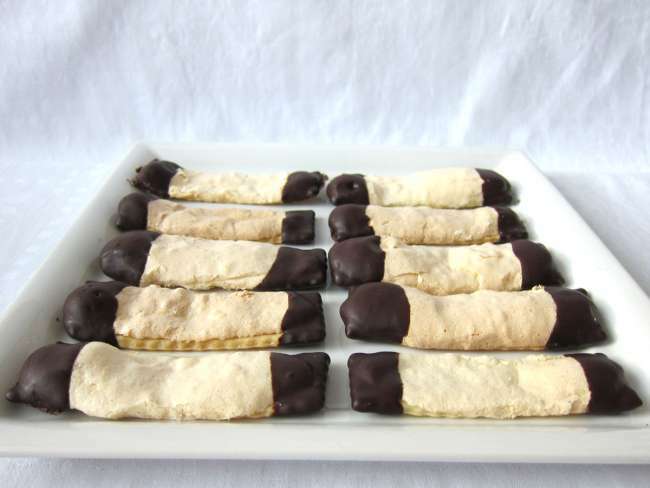 Bake these sweet, crispy sticks dipped in chocolate. 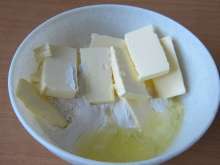 Measure flour, add sugar, pinch of baking powder, egg whites and sliced butter. 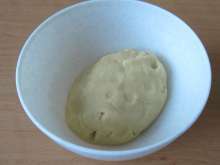 Knead the dough and let it rest in the cold place for half an hour. Beat 150g of egg whites into stiff foam. 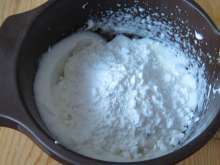 Remove the dough from refrigerator and use a rolling pin to spread it on a floured board until it is about 2 mm thick. 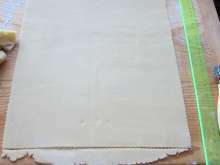 Use a ruler to cut off the edges and create square in the size of 30x30 cm. Cut it into strips 30x3cm. 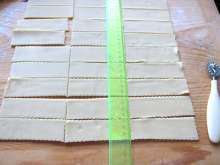 At the end cut the strips into thirds. Now we have sticks in the size of 10x3cm. Knead the leftovers together and place them in the refrigerator. When the first sticks are done, process them again into sticks. Place the sticks on baking tin with parchment paper or teflon non-stick foil. 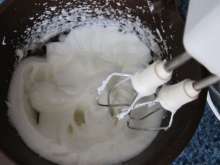 Use a spoon to spread egg white mixture on top of them. ... bake them in the oven. Bake at 320°F (160°C) for about 20 minutes. As necessary and based on the experience with the oven, adjust the baking time and temperature. Let the sticks cool well. As we need the baking tin for another baking, take the parchment paper or the teflon foil with the sticks and transfer it to the board. Do not move them until the next day and let them freely dry. 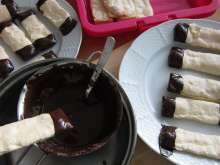 On the other day melt the chocolate topping over a water bath and dip ends of the sticks in. Let the chocolate stiffen and place the sticks in the closed box. Store them in the cold place.